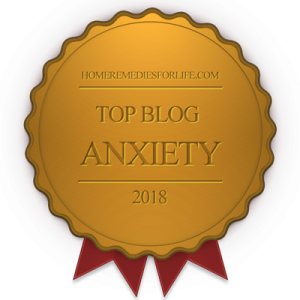 Those of us enduring mood and anxiety disorders are tough as nails. When it comes to our emotional and mental challenges, most of us will fight to the bitter end. And as much as I love that spirit, sometimes being good to ourselves calls for – surrender. How ’bout we apply that to a powerful force known as neuroticism? Without a doubt, I made my biggest strides toward blending with my emotional and mental challenges when I learned to surrender. Now, some will apply a negative spin to “surrender,” likening it to, say, giving-up or accepting defeat. Well, not in this neck of the woods. No, here, surrender is about informed acceptance that allows us to grow and manage, thereby maximizing relief. And if there was ever a phenomenon that begs for surrender, it’s neuroticism. Neuroticism: What the Heck is It? Sure, we’ve talked about neuroticism here on Chipur, mostly within the context of temperament. Neuroticism is one of the “Big Five” personality traits. The others are openness to experience, conscientiousness, extraversion, and agreeableness. Those who score high on neuroticism are more likely to experience goodies such as anxiety, worry, fear, anger, frustration, jealousy, guilt, depressed mood, and loneliness. But it doesn’t end there. Those who’ve been bitten by the neuroticism bug typically have a rough go with stressors and are more likely to interpret ordinary situations as threatening. And what are actually minor frustrations become super-scary monsters. A little more? Neuroticistic folk are often shy and self-conscious, and may have trouble controlling urges and delaying gratification. And, of course, there’s the high likelihood of being diagnosed with a mood, anxiety, and/or substance use disorder. Neuroticism seems to be a matter of the interplay between genetic and environmental factors – emotional neglect and sexual abuse during the developmental years being particularly significant. However, it seems genetics gets the etiological nod, as depending upon whose research you read, heredity may account for as much as 80% of neuroticistic presentations. Having lived with and managed my emotional and mental challenges for 50+ years, I think I’ve earned my insight chops. Sure, we could throw the licensed mental health professional in there, but it’s the living with – blending – that matters most. When considering and intervening in my own circumstances, I’ve found that discovering and approaching the bottom-line source of the misery is most effective. Heck, you get way more bang for your buck, right? There is no more foundational component of our emotional and mental selves than personality, which for our purposes includes temperament. So if we do all we can to honestly identify, learn about, and accept our personality type, we’ll have gone a long way toward the ultimate in self-insight – and paving the road to our maximum relief potential. I’ll say it simply. It’s my opinion that short of injury or disease, personality type doesn’t change. In this particular chat, if your personality type is neuroticistic, that’s kind of that. And if that’s the way it is, we can’t possibly believe we’ll have any chance of any sort of victory should we continue to fight. Nah, when it comes to matters of personality, surrender. And in doing so, you’ll be forced to find and develop other – incredibly comforting – coping strategies and techniques. My message is really very simple. Neuroticism is a stunningly powerful force. And if you’re struggling with a mood, anxiety, substance (impulse control), or combo disorder, there’s a pretty good chance you’re a member of the club. 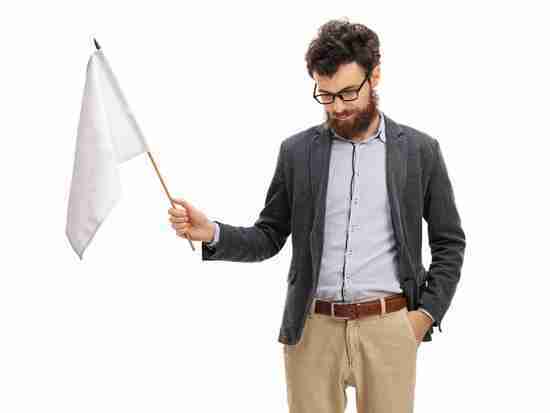 Surrender, proudly waving that white flag. And when you do so with an open and eager mind and heart, you’ll embark upon the ultimate recovery journey. 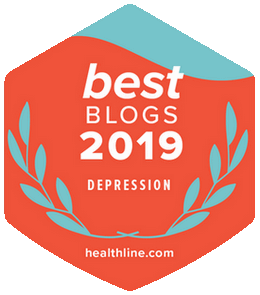 Hey, hundreds of Chipur mood and anxiety disorder-related articles are such a great relief resource. Go ahead, dive right in.